What’s so great about gold? Consider the fact that all the gold that has ever been mined throughout history just amounts to 174,000 metric tons and you’ll probably already have an idea about how rare it is. If you think that still sounds a lot, just imagine all this gold being able to fit inside a cubic structure with sides of just 20 meters. Visualize all the gold—in family heirloom pieces, in jewelry, in coins, in the gold bars held within the vaults of central banks, and in Olympic medals and other such tokens created since the dawn of civilization—and imagine all of these being able to fit within such a small space. 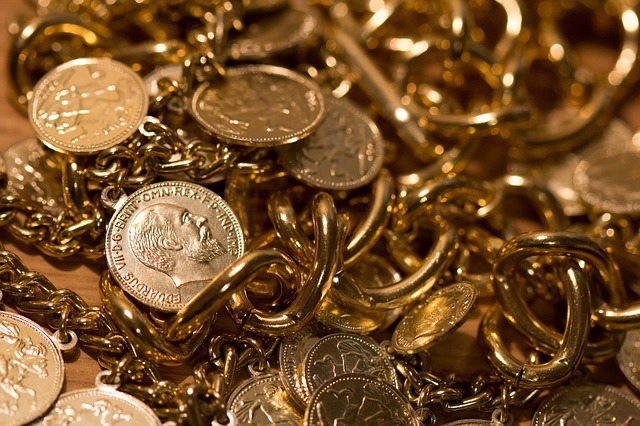 The fact that gold is rare is a major contributor to the value that people ascribe to it. However, its beauty is also a major contributor to its popularity. Gold is highly lustrous, and it is also very resistant to corrosion and oxidation. If your family were to keep your gold coins for many generations, these coins won’t rust, tarnish, or discolor. This quality of intransigence is what makes gold an attractive medium for store of value. In the modern world, gold remains synonymous with wealth, even though it has long been replaced by fiat money as the preferred medium of exchange. But gold can be more valuable than paper currencies in that it can better survive the effects of economic uncertainties and inflation. Whereas the purchasing power of the dollar and many other currencies has declined dramatically since the post-World War II years, gold’s purchasing power has tended to remain stable throughout history. Although we often consider gold as a commodity, it is actually more like a currency—an asset that can act as a repository of wealth. It can provide a measure of stability when nations or individuals experience monetary crises. Should you buy gold bullion coins or numismatic coins? Buying gold coins is one of the easiest ways to own physical gold, but you have to familiarize yourself with the product options available to you. If you are new to the gold trading business, you’re likely to hear about gold bullion coins and gold numismatic coins all the time. Gold bullion coins are minted in standardized weight classes and purity. Most of these bullion coins have purity that is equivalent to or above 900 parts per thousand. Their weights, on the other hand, are set at multiples or fractions of the troy ounce. For instance, the American Gold Eagle coin is available in 1/10 troy ounce, 1/4 troy ounce, 1/2 troy ounce, and 1 troy ounce weight variants. This uniformity in purity and weight makes bullion coins an ideal option for people who are planning to buy gold for wealth diversification, as a store of value, or to serve as hedge against inflation and currency devaluation. Bullion coins are easy to sell because buyers are thoroughly aware of the specifications of the products they intend to buy. The valuation of numismatic coins, on the other hand, is a bit more complicated. Unlike bullion coins, numismatic coins have what is known as “numismatic value,” which is above and beyond the base value of the coins’ gold content. Imagine an ancient coin that is nowhere near as pure in terms of gold content as modern coins. Even though this is the case, this old coin’s value can be several times greater than that of a modern gold coin because of its historical significance or because of its rarity. If the coin were found as part of a shipwreck of a famous mariner, for instance, its association with the historical figure and the important event would likely contribute to that coin’s price. Because external variables can have a great effect on the value of numismatic coins, they are usually purchased by experienced individuals. Nevertheless, independent companies that have extensive knowledge about such products can also perform the necessary appraisal of the coins before selling them to buyers. Whether you intend to buy gold bullion coins or numismatic gold coins, always make sure to purchase only from trustworthy dealers. For your safety, check if your chosen dealer is accredited by organizations like the Better Business Bureau (BBB), the Business Consumer Alliance (BAC), the Industry Council for Tangible Assets (ICTA), the Numismatic Guaranty Corporation (NGC), and the Professional Coin Grading Services (PCGS). Have you ever purchased gold coins? Do you use gold for building wealth?